Have you ever heard someone complaining about their wisdom teeth? Most people will need to get their wisdom teeth removed at some point because of a few different reasons. Wisdom teeth are the back molars that don’t generally grow into place until people are young adults, sometimes into their twenties. 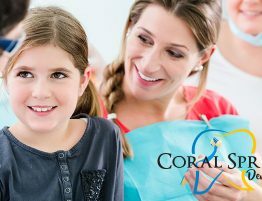 To know if it’s time to consider a wisdom tooth removal in Coral Springs, consider these common signs that it’s time to get wisdom teeth taken out. 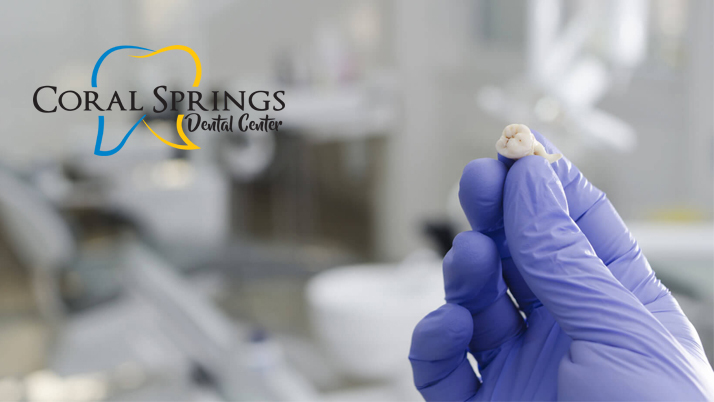 The reason wisdom teeth generally need to be extracted is that they often cause dental complications eventually. As people grow older, their jaws begin to shrink. Having a third set of molars grow into place where there’s no room can be painful and cause overcrowding in the mouth. 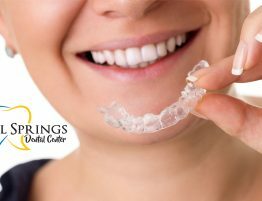 If wisdom teeth begin to cause overcrowding in the mouth, it’s best to consider a wisdom tooth removal from a Coral Springs Dentist before problems worsen. Overcrowding can make straight teeth shift, sometimes even pushing in front of another tooth. It can also create gum issues over time and an infection could develop as the result of food remaining trapped between the teeth. 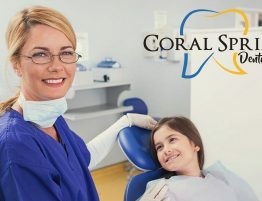 Probably the easiest way to know if your Coral Springs dentist needs to perform wisdom tooth removal is feeling unusual dental pain. People generally complain about pain in the jaw while chewing. Foods that require more chewing, such as meat or certain vegetables, can make the pain worsen. As with many dental complications, wisdom teeth can cause hot or cold tooth sensitivity. If you’re feeling unusually sensitive to food or drinks that are hot or cold, schedule an appointment with your dentist. Even if it’s not caused by wisdom teeth, it could be a sign of another serious dental problem that needs to be addressed. Wisdom teeth sometimes grow in crooked. This is because there isn’t enough room for them to grow, resulting in them coming in at different angles than other teeth. Symptoms of impacted wisdom teeth are tenderness, swelling, and gum infections. 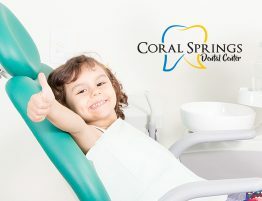 It’s recommended to schedule a wisdom tooth removal appointment in Coral Springs as soon as possible to avoid further complications from impacted teeth. Extracting wisdom teeth is actually pretty routine for most dentists. Depending on their level of growth and whether or not they are impacted, oral surgery might be necessary. After the surgery, a patient will need to care for the areas with ice for about 48 hours or until the swelling goes down. 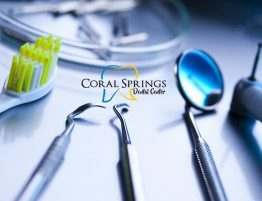 Schedule a wisdom tooth removal in Coral Springs with Coral Springs Dental Center to get the very best dental care in the area. 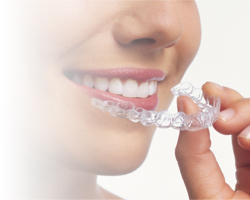 Our dental specialists are highly skilled and do everything we can to make every procedure as comfortable as possible.